In 1998, retired voice professor Dan Nelson gathered a group of Front Range singers to form the Laudamus Chamber Chorale. He felt that the community would enjoy a small group, 24-32 voices, that would regularly perform works with chamber orchestra as well as a cappella works. Dan conducted Laudamus (it means, “Praise God”) for three seasons, two concerts each season. In those three seasons the group sang such works as the Faure Requiem, the Bach Magnificat, and the Bernstein Chichester Psalms. 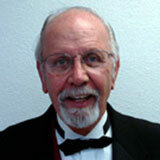 Dr. James McCray served as the Music Director of the Laudamus Chamber Chorale from 2001 to 2008. 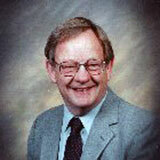 For ten years he was the Chairman of the Music, Theatre, and Dance Department at CSU. Prior to that he served as chair of music departments in Virginia and Indiana. His compositions have been performed and recorded by many of today’s leading choral conductors. 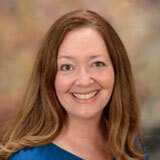 Dr. McCray has authored over 25 major periodical articles, 100 choral works, and three books. He was the head editor of THE CHORAL JOURNAL, the publication of the American Choral Director’s Association. Laudamus was honored to have Dr. James McCray serve as our Music Director, and we wish him a long and happy retirement. In 2008 Phillip Barnett became our new Music Director. Phil is an outstanding musician with twenty years experience in choral conducting. 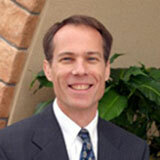 He is the Director of Choirs at Redeemer Lutheran Church in Fort Collins. We were delighted to have Phil at the helm of Laudamus for four seasons! The 2012-2013 year was a transitional year. We were pleased to have David Adkins as interim director, conducting an impressive fall concert with choir and orchestra in November. Miles Canaday became director in the fall of 2013. Miles Canaday was also Choir Director at St. Stephen’s Episcopal Church in Aurora and served as Director of the Women’s Chamber Choir at Metropolitan State University of Denver. He completed a master’s degree in choral conducting at Yale School of Music. During his time at Yale, he was the Assistant Conductor of the Yale Glee Club and the Principal Assistant Conductor of the Yale Camerata. 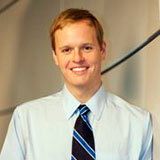 Canaday graduated with a BA in music with honors from Harvard College and was President of the Harvard Glee Club. With a keen interest in early 20th century music, he completed a senior thesis analyzing patterns and cacophony in Stravinsky’s Petrushka. Laura Gillett started as music director in the fall of 2015. Laura Gillett studied musicology and conducting at the University of Michigan where she earned a masters degree in both choral and instrumental conducting. At the University of Colorado, Boulder, she studied with Lynn Whitten, Lawrence Kaptein, and Joan Conlon, and wrote her doctoral dissertation on liturgy and choral music. Gillett has studied conducting with David Daniels, Jerry Blackstone, Gunther Schuler, Gunther Herbig, and Gustav Meier. She has served as music director of the Boulder Chorale and founded its Chamber Ensemble. Laura was assistant director of the Pontiac-Oakland Symphony and choirmaster of the Ann Arbor Bach Society, Colorado Music Festival, Boulder Philharmonic and Evergreen symphonies. For the last 12 years, Gillett served as the music and liturgy director at Guardian Angels Church in Mead where she founded Seraphic Voices Schola, a professional vocal ensemble dedicated to bringing great choral music to the liturgies of front-range churches in Colorado.